My girls love to wear sweaters, pretty much year round. 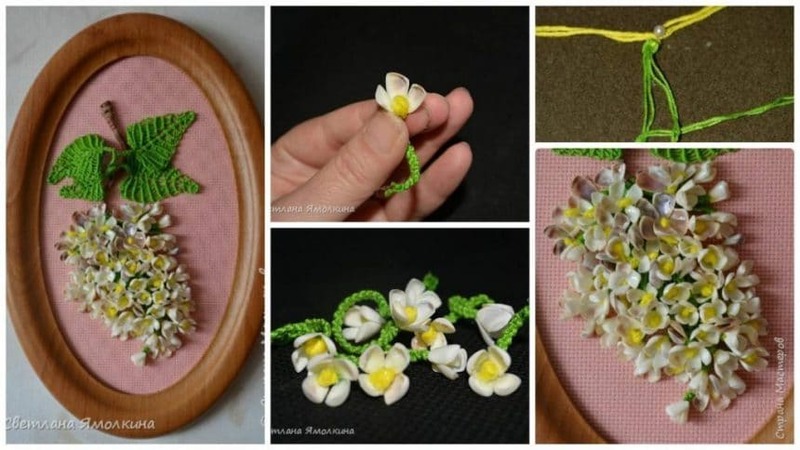 And considering they wear the same sweaters over and over and over again – I don’t mind taking a little bit of time to make them extra special. 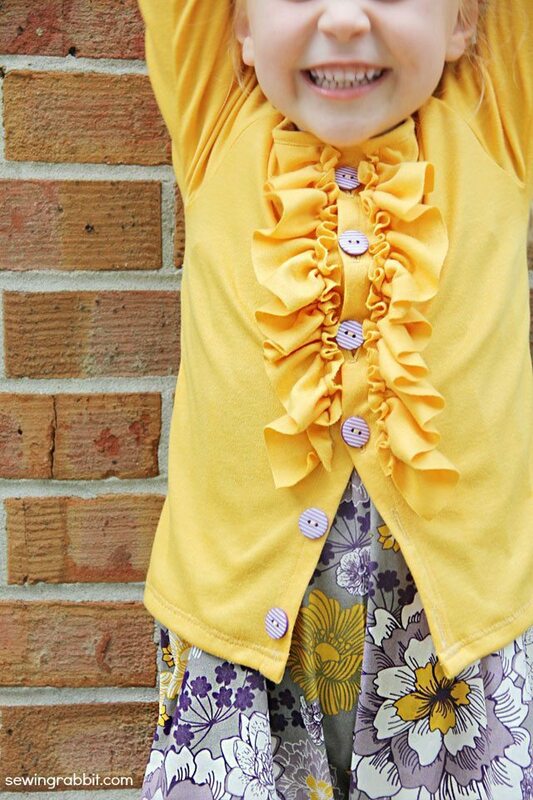 The ruffled cardigan tutorial has all of the elements that I know my daughter will love, from ruffles to colored buttons. 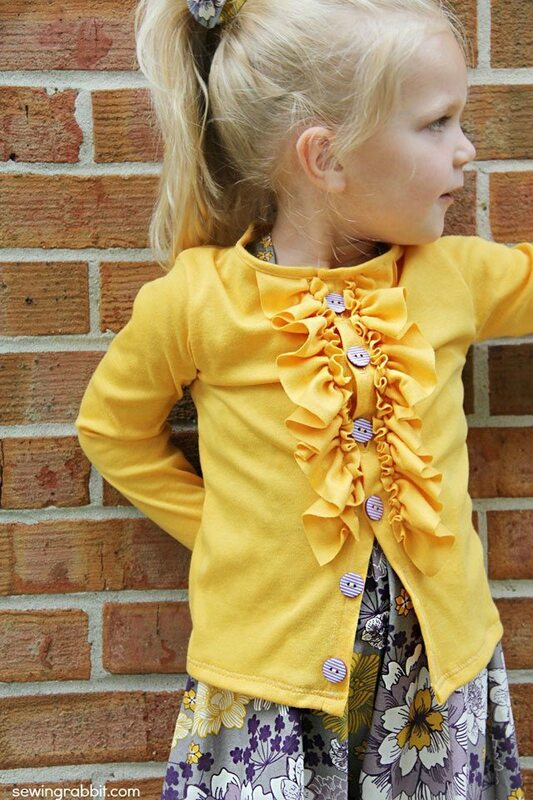 Made out of interlock knit, it is lightweight enough to keep off the chill without bulking my daughter down this Fall Season. 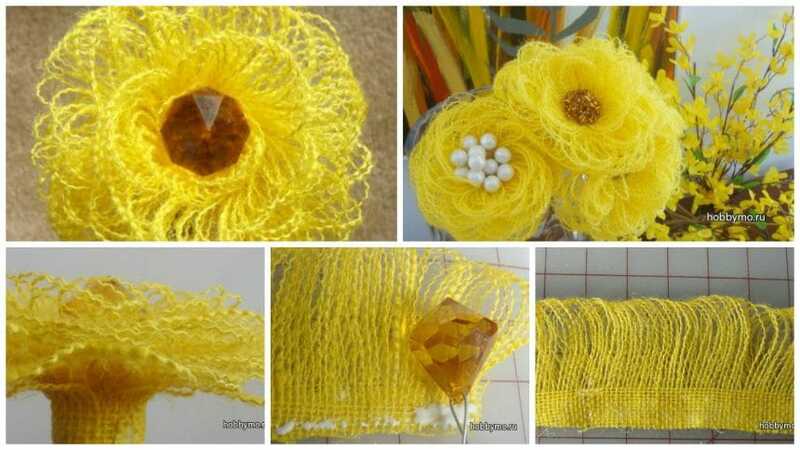 And it’s pretty easy to sew, without a pattern. 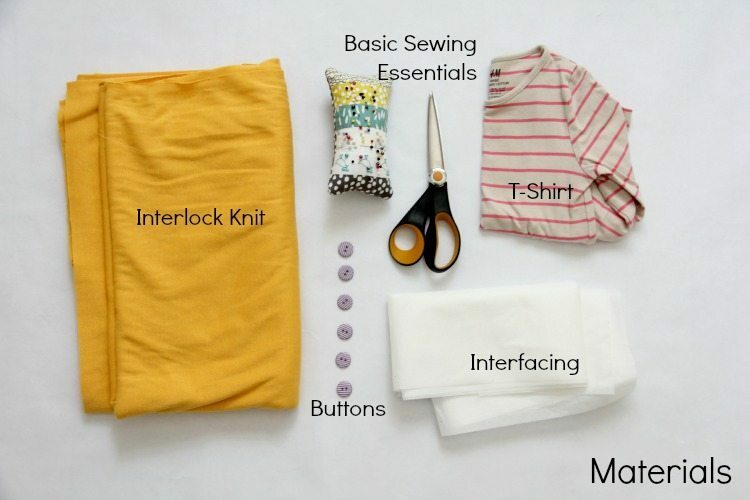 Using a T-Shirt that fits well, cut around for pattern adding extra ease on the sides and seam allowance for seams and hem. 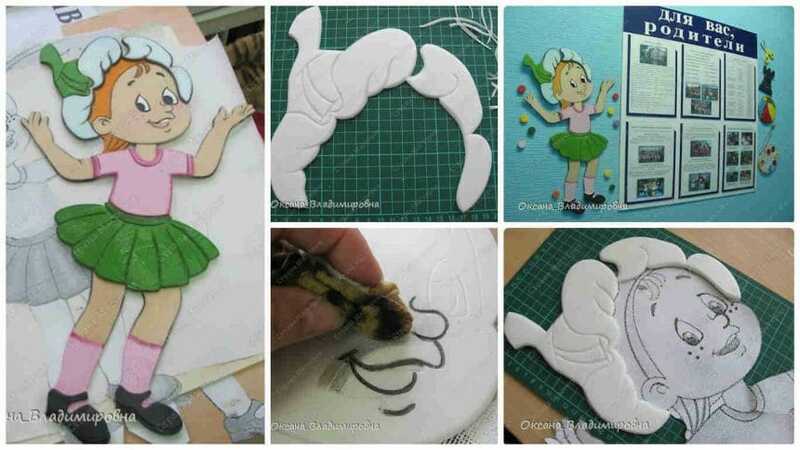 Cut out (2) Front Pattern pieces, adding 2″ to the front center. Cut on the Fold (1) Back Pattern piece. Cut on the top Fold (2) Sleeves. Cut (2) Strips for Ruffle, and Bias Strips for neckline binding. Also cut (2) 1″ Strips of interfacing, the same length as the front center of your Front Pattern Piece. 5.Iron on Interfacing to wrong side of front center Front Pattern pieces. 6.Fold front center 1″ towards wrong side and press. Sew along raw folded edge to secure. These will be your button plackets for the cardigan. 7.Mark evenly spaced buttonholes along (1) of the Front Center button plackets, and sew. 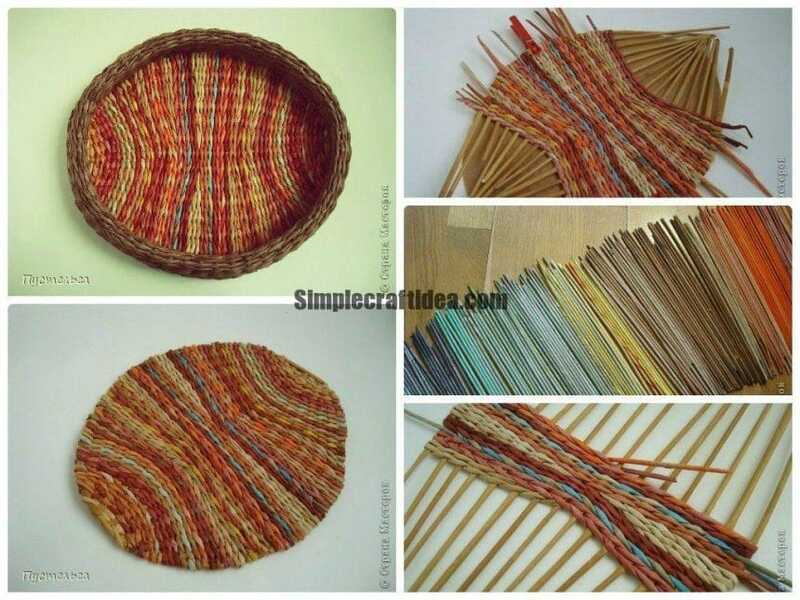 8.Gather the top edge of your ruffle strips, creating (2) same size ruffles. 9.Pin to the outer edge of your button placket, and sew to secure. 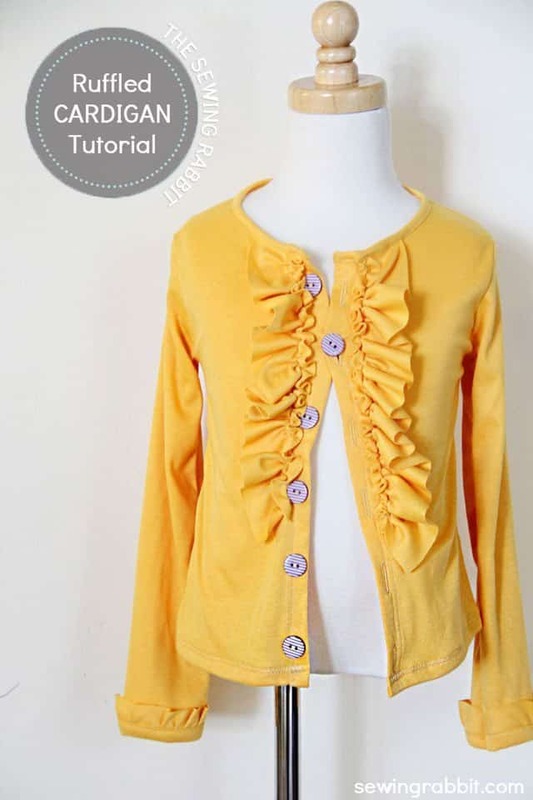 10.Place the front and back cardigan pieces right sides together, matching up raw side edges and shoulder seams. Pin and sew shoulder seams. 11.Add interlock bias tape around neckline, turning under the edges when you reach the front button placket. 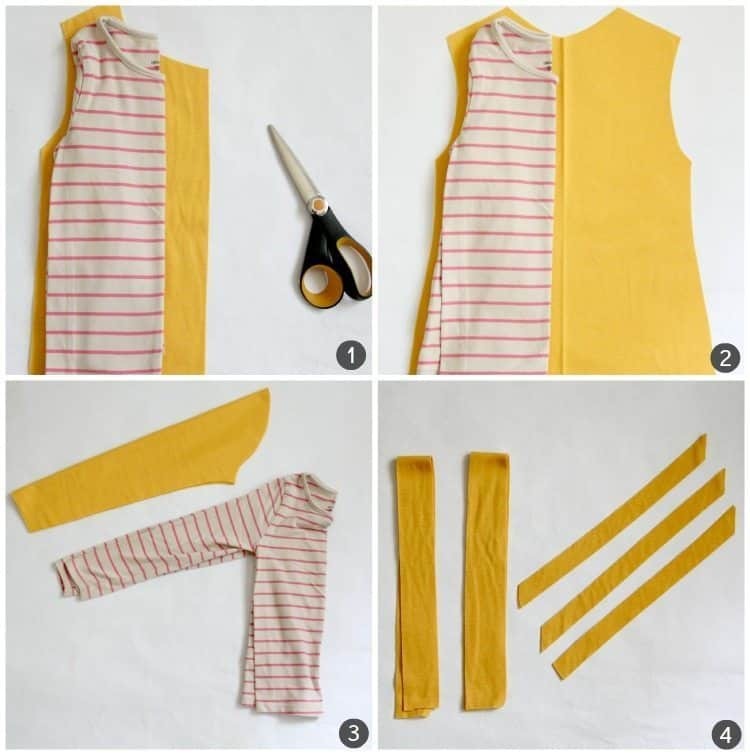 12.Sew the sleeve’s top curve right sides together, to the arm hole curve of the cardigan. 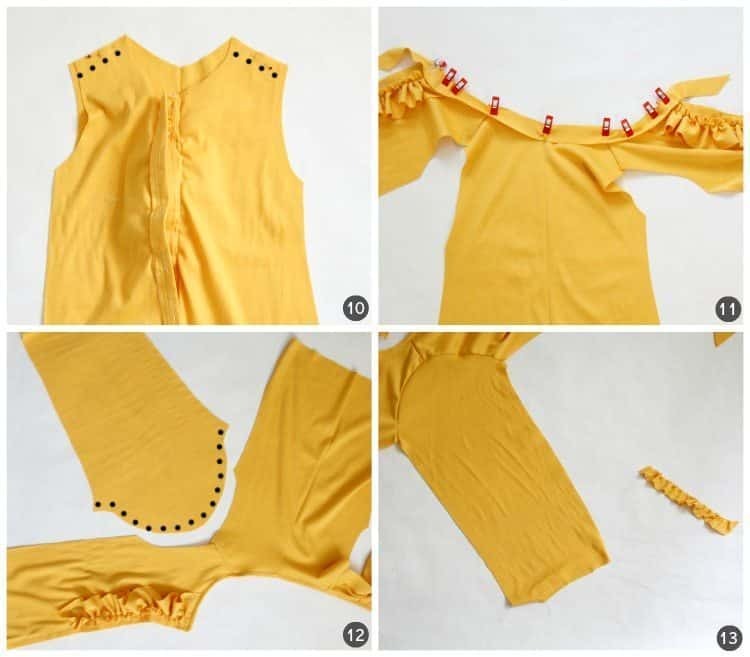 The next steps are optional sleeve ruffle embellishments. 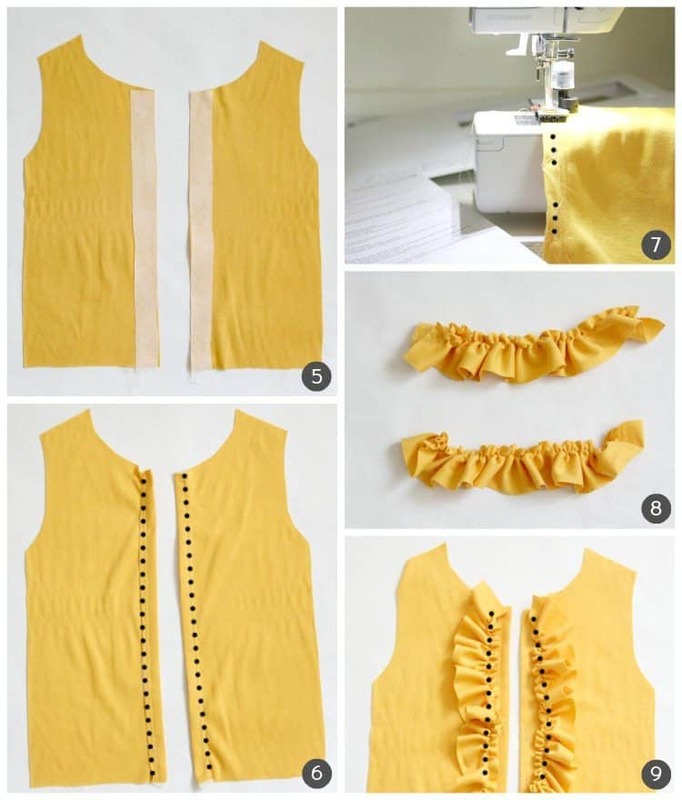 Take a mini ruffle, and sew approximately 1″ up from sleeve hem. 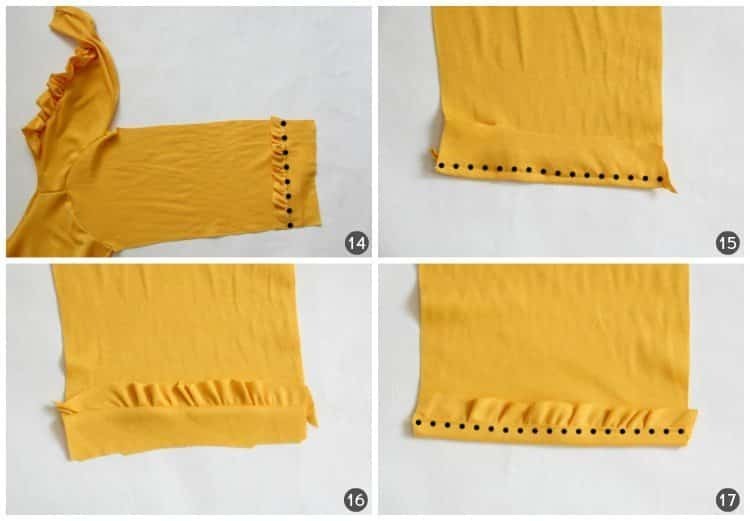 Fold the bottom sleeve hem up, over the ruffle, and press. Sew approximately 1/4″ away from the bottom. Fold back down and Press. Fold bottom raw edge towards the wrong side of the sleeve, Press and Sew. 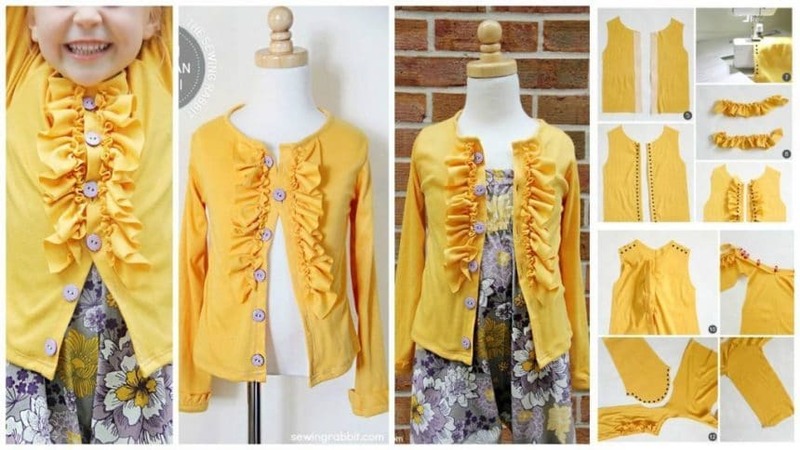 If omitting the sleeve ruffle embellishment, simply hem the sleeves as you normally would. Fold cardigan right sides together, matching up the side seams. Sew. Hem the bottom by turning under towards wrong side, press and sew. Add buttons to correspond with the buttonholes sewn earlier.